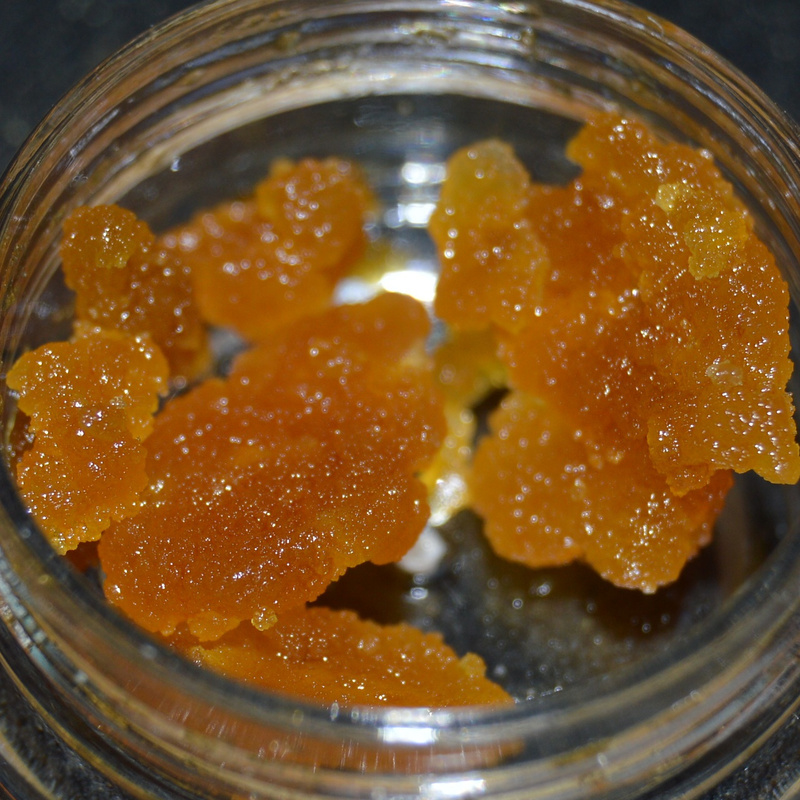 I’ve been seeing more and more post about solventless THC-A DIAMONDS. A lot of people are quiet with their tek on Instagram. But come on… taking the solvent out of extraction and purification tells us a lot. I mean what else could you other than pressure, temperature, and time? Some people are open about THC-A isolation using a rosin press with controlled pressure, temperature, and time conditions. Here are two videos below. Easy enough?! LOL. This is where you guys come in! Some comments say you won’t collect pure THC-A isolate as advertised. They say you would be able to achieve 70% at best and that the so-called THC-A isolate would be full of fats, lipids, and waxes. Let’s say I was able to obtain some 70-80% THC-A sugary budder. With the proper protocol - do you think that this process is possible only using a rosin press, specific size micron bags, pressure, temperature and time? I would love some help here, as there can be misleading information out there. I’m coming to you guys who know it all! Thanks so much in advance. Here is another video showing 3g THC-A crystalline yield from 28g flower using only a press! Take buttered up rosin and place it inside a piece of stainless steel mesh, make sure that the mesh is at least 25um so it can catch the crystals formed. Press the extract out at those temps for about 10-15 seconds and then grab the stainless mesh and open it up. It should have a white residue inside the mesh and this is what your going for. Again, this works best with rosin that is buttering up. Seems to be more for personal use with the amount of work involved and yield. I’ve seen people do that just by running enough rosin to fill a 4oz jar, then just letting that sit capped for a month and it ends up sugaring like the sugar tech does. It doesn’t seem to have as much terp separation though, likely due to extra waxes being in there, but the crystals will definitely form like you experienced. I cant accurately say because my shop press doesnt tell me psi. 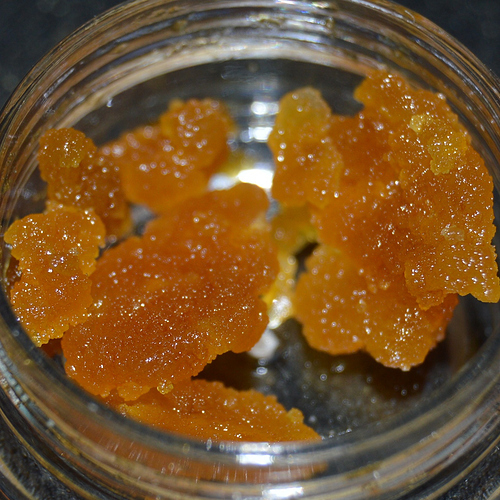 But whats important is that your extract has the ability to sugar/wax up. You essentially want crystals to form in rhe extract and then you squish thru a stainless steel screen to separate the solid crustals from rhe rest of the extract. You can get thc crystals by using low heat like 120f and slow gradual pressure increase on the press to very very slowly leak the terp fraction away from the cyrstals in the folded mesh. You really dont have to adhere to a specific pressure/temp relationship for it to work, if you choose to use high heat just work faster and it will still work good. Ive always got the best yields going low hest and slow gradual pressure increase. With this method you will be limited to very small size crystal production. Now with all that said, growing crystals by solvent evaporation like OTSS’ tek is by far the better route. Faster crystal production and bigger crystals.